Clementine Rose was delivered not in the usual way, at a hospital, but in the back of a minivan, in a basket of dinner rolls. So begins the story of a lovely little girl who lives in Penberthy Floss in a large ramshackle house with her mother, Lady Clarissa, Digby Pertwhistle the butler and a very sweet little teacup pig called Lavender. What a treat to have a new series by the talented Jacqueline Harvey. This new series is pitched at a slightly younger age group than Alice-Miranda books. 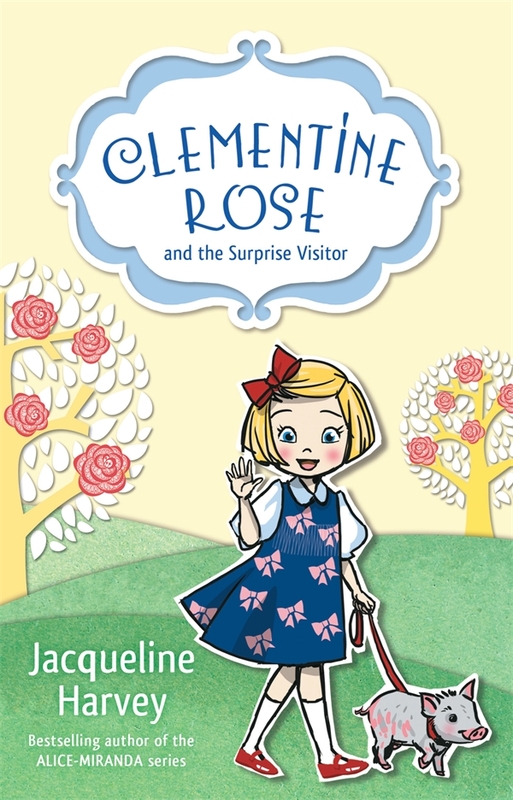 Clementine is going to be a character that young readers will love, and adults will love too. I don't think anyone could resist this well dressed little five year old who tries so hard to be good, but often finds herself in a pickle. Clementine lives with her mother Lady Clarissa in the very large, but very rundown Penberthy House. It was left to Lady Clarissa by her father, any money that he left her was quickly spent on work to the house, and in spite of the work that was done, the roof still leaks in too many places and the furniture is more than a little shabby. To make ends meet, Lady Clarissa runs the house as a hotel, when Lady Clarissa's not-very-nice Aunt Violet comes to stay, she is horrified that this is the case. It seems however that Aunt Violet has come to Penberthy House for more than just a visit, and Clementine is of course the person to unravel the mystery. So many things to like about this book. The characters are charming and at times quite humourous. The storyline is simple, but has an element of a mystery waiting to unfold just under the surface. There's at least one clue in this book as to who Clementine might really be and where she fits in with the family! The one thing I guarantee will happen after every little girl has read this book, is that they will want their very own 'teacup pig', I know I did. I even did a quick Google search to see if there was such a thing, and there is. The sad news is however that these tiny little pigs should not actually be so tiny. I don't want to go into details here, but they don't have a very long lifespan, I suggest you have a Google search of your own if you want details!